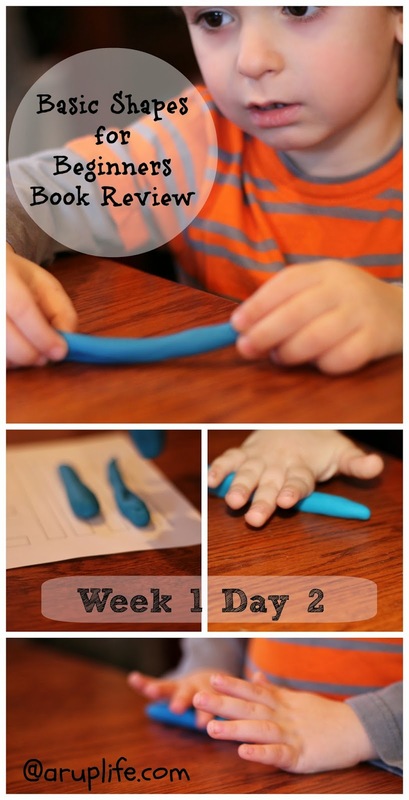 A RUP LIFE: Basic Shapes for Beginners Book Review! Basic Shapes for Beginners Book Review! A Rup Life received product to help facilitate this review. This post contains affiliate links. I don't know why the thought of teaching my youngest to write is so scary but it is. Like shaking in my boots scary. Perhaps it is because he is a boy or that he seems to favor his left hand. Maybe it is because I remember the tears from my oldest who has a similar personality. Or maybe it is the fact that his motor skills (like all my boys) are not super wonderful. That is why when I read about Basic Shapes for Beginners: A Hands-On Approach to Pre-writing Strokes for Preschoolers (Digital Download) - I knew I wanted in on the launch! Heather Greutman is the author of Basic Shapes for Beginners: A Hands-On Approach to Pre-writing Strokes for Preschoolers. She is a Certified Occupational Therapy Assistant and currently writes at goldenreflectionsblog.com. In her new book she gives practical advice for teaching pre-writing skills. Terminology and activities make this book a shining star. I have completed the first week of activities for this book with my three year old. He is a funny guy and he took to the somewhat structured play. That is the the thing - it feels like play but you are giving them the tools for later on in their school career. We worked on vertical and horizontal lines with a variety of different activities. J was so proud to tell Daddy which lines were horizontal and which were vertical. I liked that Greutman gives guide to us (the parents) on how to define each line so that later on when we are actually writing it will all come together. I was not familiar with Montessori style learning - aside from really hearing the name but this course has that flair. It was very easy to implement with task trays and sensory bin style things. I was actually excited to learn a bit about it (implementing) because my little guy is very hands on and this was the perfect beginning curriculum for him. Another thing that impressed me was that I know he is working on his motor skills which is a big concern. From my experience most boys are naturally behind girls in this area. Both my older boys had trouble with holding a pencil or crayon appropriately in the beginning of kindergarten. They had to work harder to get up to level. They were in private school and now with J we are going to be homeschooling. I want to lay the proper foundation so neither of us will struggle. The second day of learning we made playdoh worms. This was enjoyable by both child and mommy! J asked for the printable from day one so that he could line the worms up like he did in day one's activity. I love that! I think I will bust out the laminator so that the printable will stay sturdy in case he wants to use it again. I have a feeling that as we progress we will circle back around again and again and again. So even thought the book is designed for only 6 weeks of activities they can be repeated as desired. All in all I enjoyed the activities - I had enough of the suggested supplies on hand that it was no big deal to jump right in. That is a definite plus as well. You can purchase your copy of Basic Shapes for Beginners: A Hands-On Approach to Pre-writing Strokes for Preschoolers (Digital Download) for the introductory price of $4.99 BUT if you use the code: LAUNCH50 you can get it for just only $2.50!! This Promo Code is available March 24-April 6th, 2014!